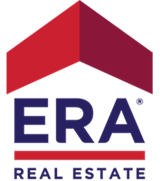 I earned my real estate license in 1983 and began my career with ERA Landmark immediately thereafter. Since 1988, I have continually ranked in the Top 10 out of 36,000 ERA agents nationally and I have closed more than 1 Billion Dollars in real estate sales. What I will do for you! I offer you 36 years of experience and in-depth knowledge of the Bozeman area. Not only in my vast knowledge of current real estate inventory, but in development, financing and building as well. You will be secure in your knowledge that we will negotiate the best deal for you, and ensure your purchasing experience is smooth and worry free. If you are looking for a multi-million dollar property or an affordable home house in the Gallatin County area, you will receive the same expert service and years of knowledge to help you successfully own your own piece of Montana property. As our valued buyer, we set you up to get emails with the latest up to the minute listings on MLS that meet your specific criteria. It's a fact that 9 out of 10 buyers start their search for properties on the internet. I use cutting edge technology to give my clients a competitive advantage in today’s high speed technology driven world. I am on the leading edge of technology in the Bozeman area Real Estate market. My listings can be found on over 50 different real estate related websites. In addition to internet marketing, I use most other traditional mediums to broadcast the availability of properties and to advertise our services. Automated E-mail services "E Cards"
I am an expert in marketing and negotiating both large and small properties. In my many years selling real estate in the Bozeman area, I have a proven track record, in sales of the small, under $200,000 homes to large multimillion dollar ranch or resort properties. You will get the same excellent service regardless of the price tag! I am committed to giving my clients the full benefit of my professional skills. My assistants and I stay in close contact with all of my clients, giving them the most complete information and the finest possible service they can deliver. My customers’ satisfaction and my dedication to excellence has placed me as a top 10 finalist for the ERA First in Service award. Certified Residential Specialist (CRS); achieved by less than 4% of all REALTORS nationwide. Locally, I have been recognized by the Gallatin Association of Realtors® as Rookie of the Year, Salesperson of the Year and by the Montana Association of Realtors® as Salesperson of the Year among other honors. I hold the Graduate REALTOR® Institute (GRI) and Certified Residential Specialist (CRS), ERA International Collection designations and specialize in all residential, commercial & vacant land properties. Additionally, I have been named to the Wall Street Journal’s Top 100 Agent list and named one of the most powerful women in real estate by the National Relocation and Real Estate Magazine. I am a member of the Montana State University (MSU) Bobcat Lifetime Endowment and the MSU Bobcat Booster Club. I am a former director of the Gallatin Empire Lioness Club and the Big Brothers and Sisters of Gallatin County board. I am a member of the National, Montana and Gallatin Association of REALTORS® and the Southwest Montana Multiple Listing Service. I am the mother of three grown children. I am also the proud grandmother to seven wonderful grandchildren and one great grandson. My husband Glenn has retired from an active custom home building business in the Gallatin Valley, which he has done for many successful years. Together with my construction knowledge, my many years of subdivision development as well as large scale project sales, along with my years of success in real estate sales, I have a well rounded resume to represent all aspects of the real estate market. Glenn and I have lived in the Gallatin Valley since 1982 and we are proud to call Bozeman our home. Keeping in touch with my customers and clients is paramount to my service. I have 2 full-time licensed assistants to round out my staff and to provide the finest possible service I can deliver.